*This post contains affiliate links for your convenience. If you decide to make a purchase using one of these links I will make a commission at no additional cost to you. See my full disclosure policy here for more details. 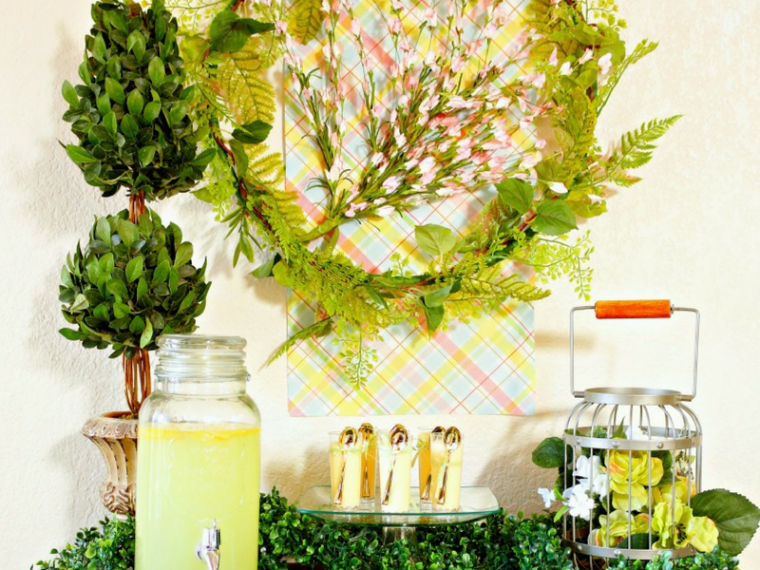 Have you seen the new Peter Rabbit movie yet? It is soooo cute! 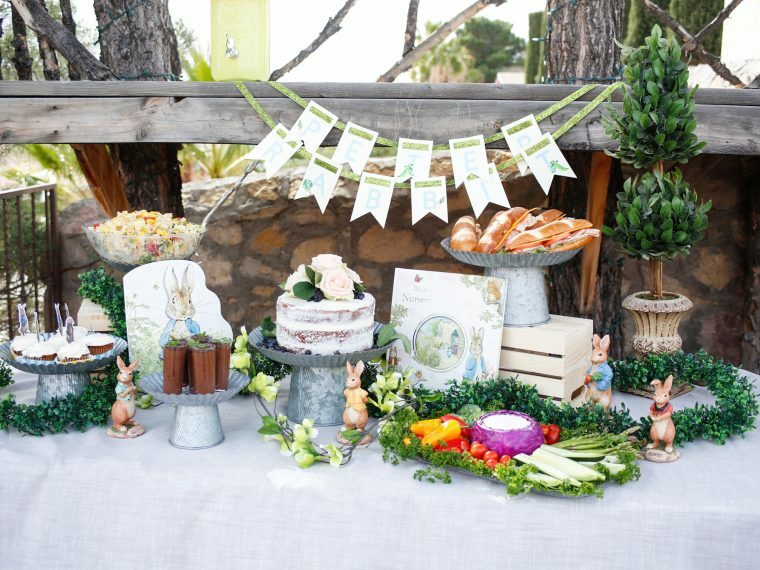 I've been wanting to throw a Peter Rabbit party since I first heard that the movie was coming out, and I finally was able to last weekend. 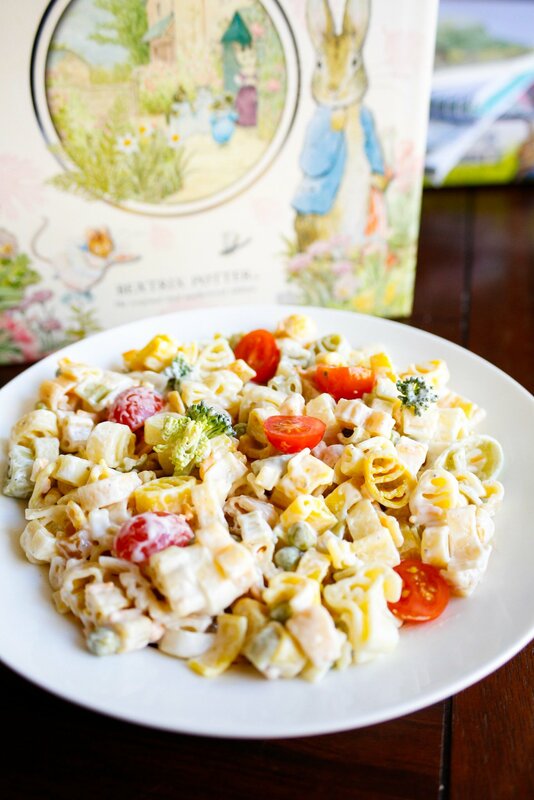 This Peter Rabbit pasta salad was the perfect addition to our buffet table for the party. 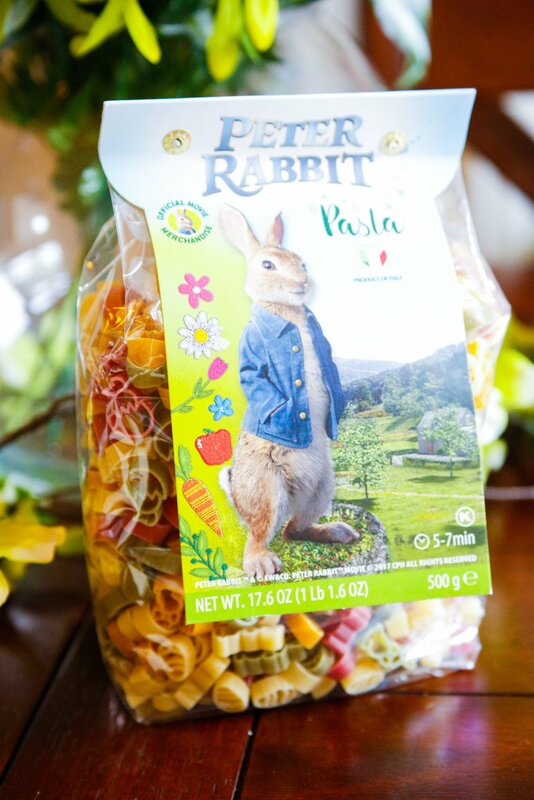 I was tickled to see that World Market carries Peter Rabbit pasta! 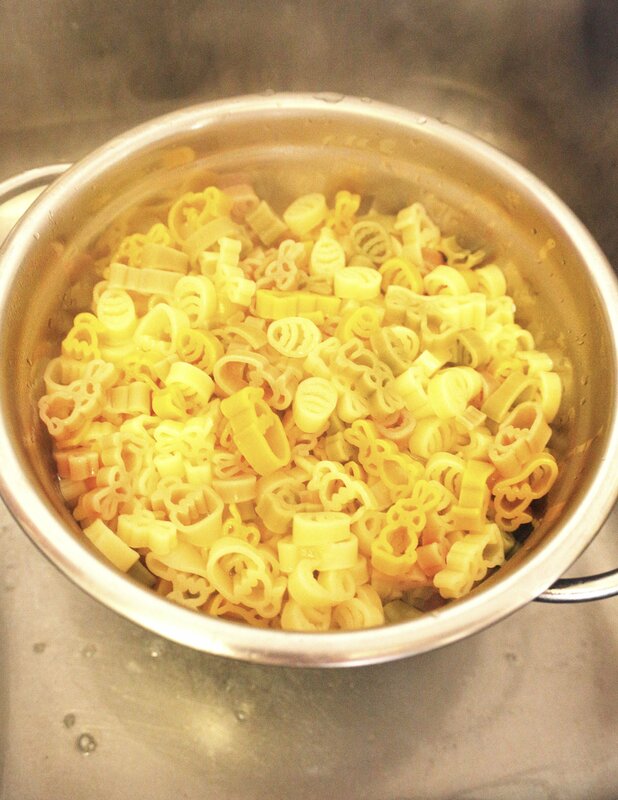 There are fun pasta shapes including eggs, hatching chicks, and bunnies. 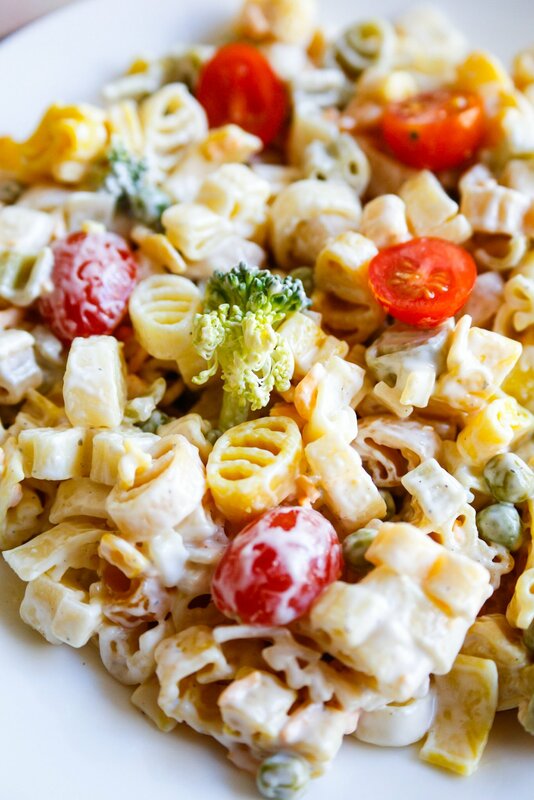 This pasta salad also has fresh grape tomatoes, broccoli, peas, shredded cheese and ranch dressing. The pasta takes about 7 minutes to cook. 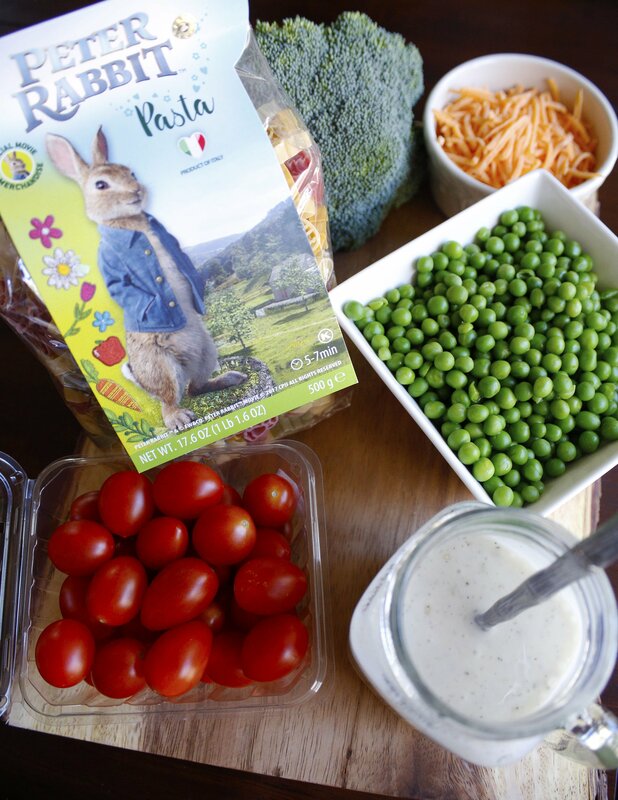 Then once the Peter Rabbit pasta is cooled, add all of the ingredients to your serving bowl. Top with a creamy ranch dressing and dig in. 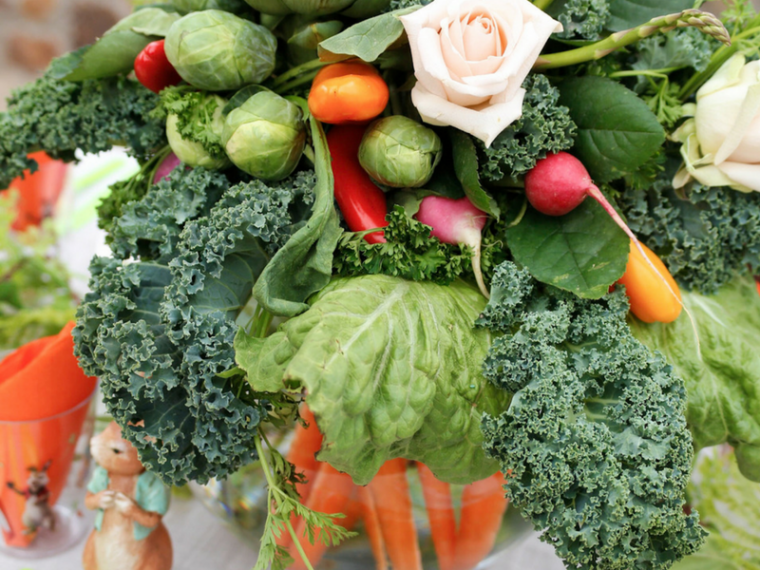 The kids loved seeing the Peter Rabbit themed shapes while we enjoyed our lunch at the party. 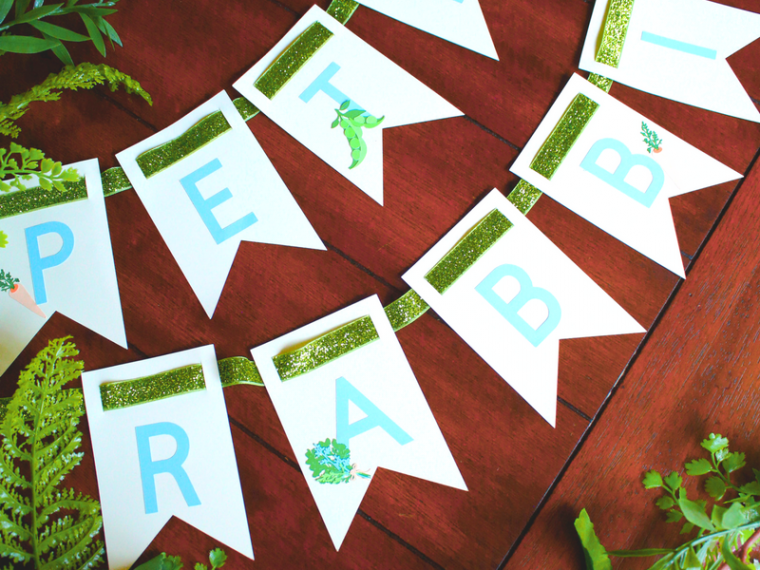 Up next, I'm sharing the party details with you, but in the meantime check out the Peter Rabbit party banner and vegetable floral centerpiece that I made. 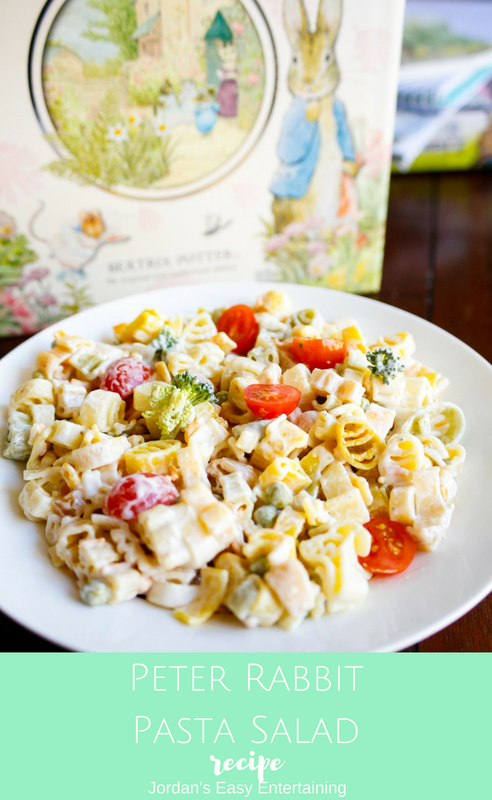 Make sure to come back to see this pasta salad at our Peter Rabbit Party! 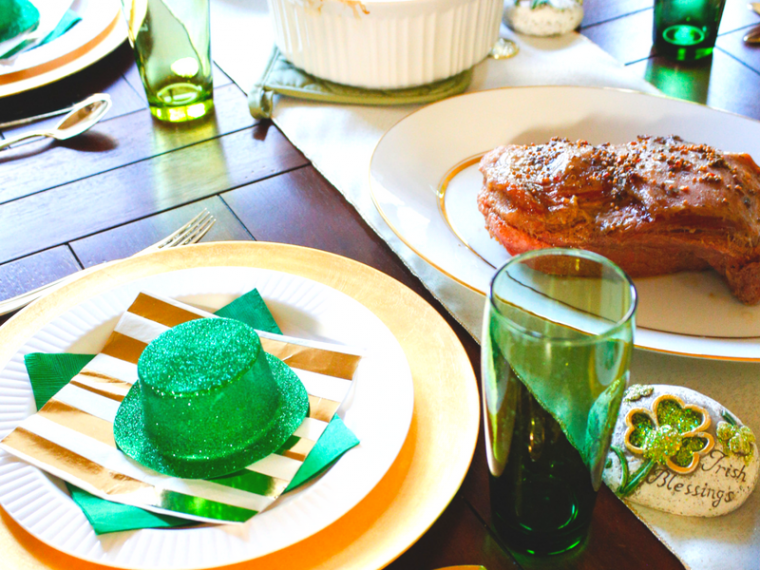 For a reminder and to see more fun ideas, sign up for my newsletter below. Cook the pasta according to direction on package. Drain pasta and allow to cool. 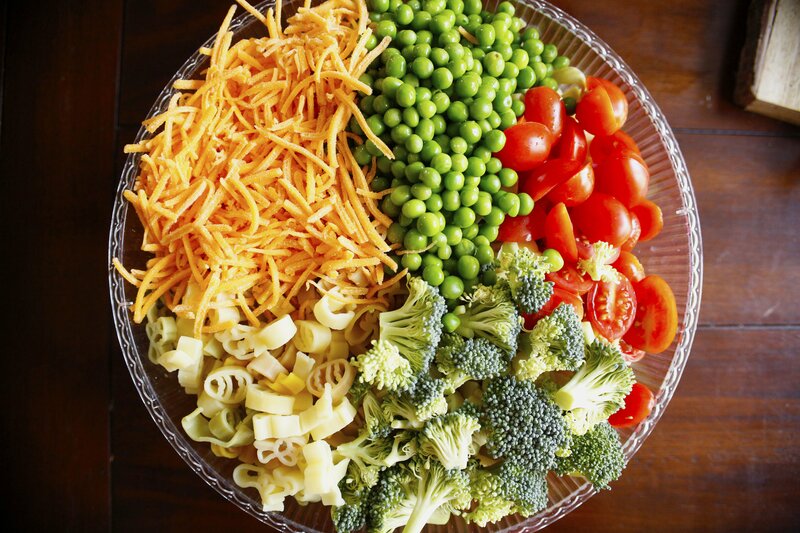 Combine all of the ingredients together in a serving bowl.